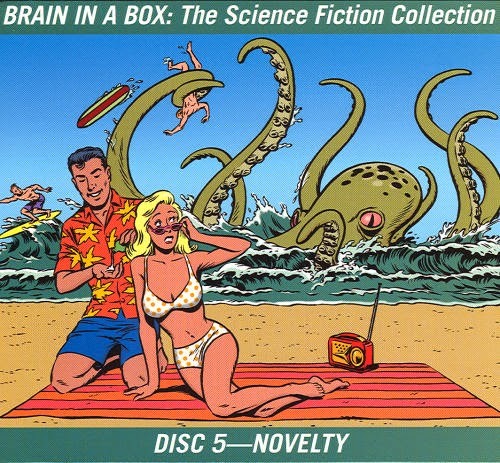 Music for Maniacs: Brain In A Box: 5 Disks of Science Fiction Sounds! 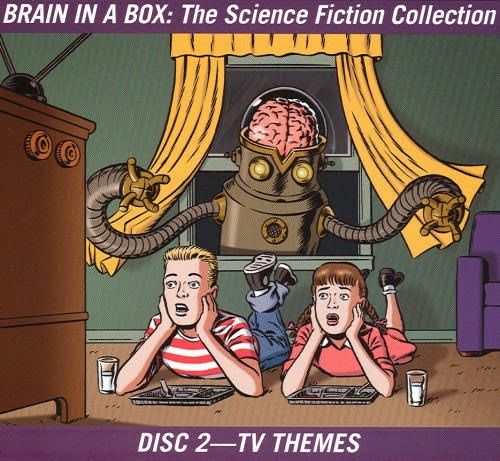 Brain In A Box: 5 Disks of Science Fiction Sounds! You don't get the beautiful 3D hologram packaging that originally enclosed this stupendous set, but hey, it's out of print, so better to have lots of good listening than nuthin', eh? And I've been too busy (and will probably continue to be so for the foreseeable future) to update this blog as regularly as I'd like, so hope this will keep all my li'l maniacs happy 'til I get back. 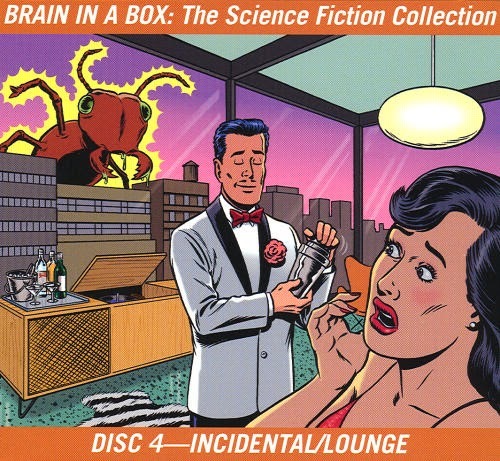 WARNING: these tracks (113 in all) are encoded as m4a (a lossless file),not mp3. They're bigger, which is why I had to split up the disks, and I don't know if m4as play on everything. An astronomical amount of thank-yous to maniac James C. for sending this our way. 9. 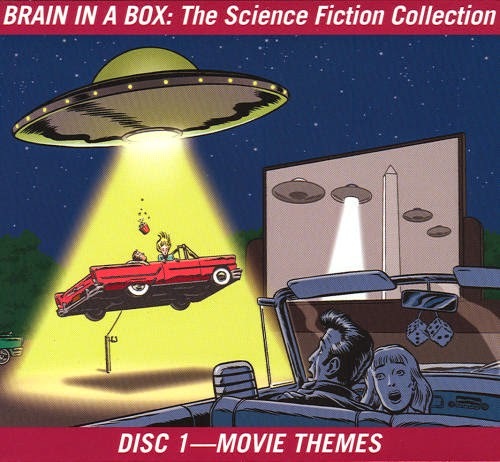 UFO - Soul, Inc.
Labels: celebrities, classical/experimental, Comedy/Novelty, Lounge, rock: early/rockabilly, rock: punk/New Wave, rock: surf/garage, soundtrack, Space Age/Moog/Theremin etc. As for the playability of the M4A format, I know it doesn't play on Windows Media, or didn't anyway. I abandoned WM when they 'improved' it to unusability with Windows 7. VLC media player plays anything I throw at it, even OGG and APE which are formats I don't care for. Thanks for this wonderful collection! Here's a nice little bit of trivia for you: on "Flying Saucers Rock & Roll" by Bill Riley & His Little Green Men, the pianist is a pre-fame Jerry Lee Lewis. Audile Sez: A big, smiling thanks to Mr.Fab for putting this up. As for file formats, may I suggest a freebie, easy, 'clean ',file converter? Try this one- http://www.pazera-software.com/products/audio-extractor/ - I've been using it, converting a variety of audio formats to Mp3,[or from Mp3 to another]and it's never failed. For EG: You can set it to convert to 320Kbps or less, etc. Thanks for the cool post.I found a physical copy for ten dollars. The hard cover book included is great. Thanks for the tech tips, good to know. Count Otto: didn't know that, but it makes sense, as they were both on Sun Records, weren't they? This is just too fantastic! Many great themes here. Thanks to Mr. Fab and of course Steve C. For converting MPEG4 or any other format, I use "Converter Lite." Nice freeware...can't recall where I got it...maybe a tucows.com. Thanks, Mr. Fab! Looking forward to hearing this! The mother-lode! Thank you so much! Wow! What a great collection! Thank you so much ! I grabbed a bunch, couldn't stop ... Thank you SO much! 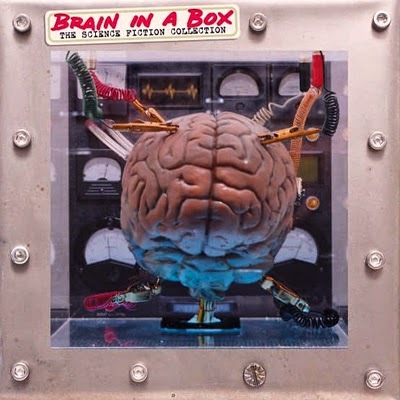 There are copies on eBay UK for anything between £50 and £80, which given the utter labour of cosmic love involved in compiling and hunting down some of these tracks, coupled with the exquisite "brain in a box" hologram and more book than booklet that comes with it - I suggest it is possibly the bargain of the new millennium! All kudos to MFM for sharing this. The howls of audio freaks aside, I go with Foobar2000 as my conversion engine of choice when it comes to M4A to MP3 - a right click and its almost done. Funny thing about the better known Hyman (Moog etc) is I heard it and went WOW WHY DON'T I KNOW THIS? Err, I did, and had listened to it loads about 2010. Coming around again...again...and again. I do usually have to check if I've got stuff I'm looking for. Getting old! Vintage kiddie funk deff sounds like a field worth investigating. Perhaps a future Radio Clash podcast, eh? Dont know Strictly Kids Strictly Biz; anything to do with the Diabolical B to tha I to tha Z Markie?